South Korea’s president is under pressure to resign, and the woman at the centre of the political storm faced a swarm of angry protesters demanding her arrest. Choi Soon-sil said ‘Please forgive me’ as she entered the prosecutors office on Monday (31.10.16). 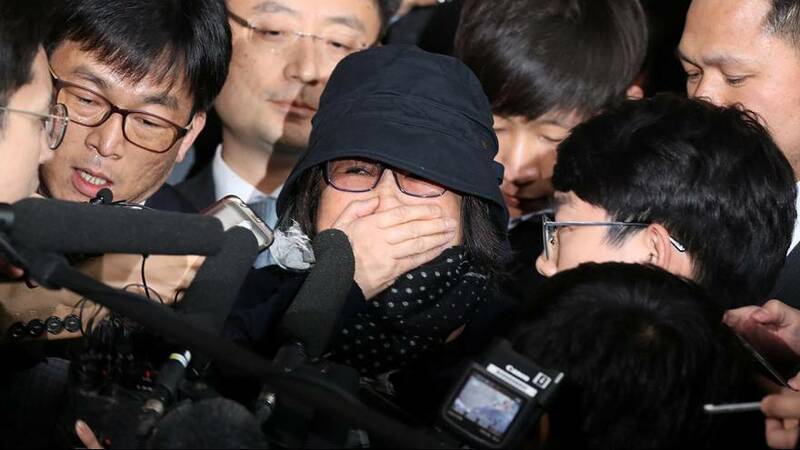 She returned to Seoul on Sunday from Germany to answer questions on allegations she used her friendship with President Park Geun-hye to influence state affairs for her own benefit. The scandal erupted last month after it emerged that the country’s first female president Park had shared documents with Choi who offered her advice on speeches before presidential elections in 2012. In a public apology last Wednesday, Park admitted she shared documents, saying she had consulted Choi with draft copies of her speeches during the first months of her presidency. Choi said she received the draft speeches but denied she had access to other state documents and said she did not influence state affairs nor reap any benefits. The investigation centres on Choi using relationship with Park to solicit 63m euros from corporations to give to two non-profit organisations she set up. The prosecutor’s office has promised a thorough investigation, but the political damage is already evident. Four years into her five-year term, support for Park is at an all-time low. One poll showed 40% wanted her to step down or be impeached. On Sunday thousands of Koreans rallied for Park’s resignation saying she had betrayed the public’s trust. It came as prosecutors investigated presidential aides to determine whether broke the law by allowing Choi undue influence or financial gain. Over the weekend several presidential aides, including the chief-of-staff stepped down. Opposition parties demanded a thorough investigation, but so far there have been no calls to impeach her. Park said Choi was someone “who gave me help when I was going through a difficult time,” in her televised apology last week. Yet, she holds no official position and has no security clearance. Their ties date back to the 1970s, but grew closer when Choi’s father, the leader of a religious cult, died in 1994. Park was elected to the national assembly in 1998. In the run-up to the 2012 election, Choi’s ex-husband worked closely with Park on her successful presidential bid.